How much does space travel cost? Spaceflight has traditionally been a government-led activity — and it's never been cheap. But the stratospheric cost of putting people and payloads into space is finally starting to fall, thanks in part to the rise of SpaceX and other private spaceflight companies. Here's a look at what it costs to go to space, whether it's another satellite that needs to be placed in orbit or an adventurous billionaire looking for a joyride around the moon. Using its 230-foot-tall Falcon 9, SpaceX charges $62 million to send into orbit commercial satellites weighing up to 50,000 pounds. The closest American competitor is the United Launch Alliance Atlas V, which starts at $73 million for a 41,000-pound payload. Those are just starting prices; government agencies typically pay more for a long list of extra services. The Air Force, for example, is paying SpaceX $96.5 million to launch a GPS satellite in 2019. Since NASA mothballed its space shuttles in 2011, NASA has relied on the Russian Soyuz spacecraft to get astronauts to the ISS. Russia has been steadily raising the price of Soyuz seats, reaching $82 million each in 2015. The agency last purchased Soyuz seats for $75 million apiece in 2017. NASA hopes to end its reliance on Russia in 2019, when SpaceX's Crew Dragon and Boeing's Starliner capsules begin "taxi" flights to the ISS. Seats on those spacecraft are expected to cost about $58 million. How much would I have to pay for a flight into space? Depending on where you're going, a ticket could set you back anywhere from $250,000 to tens of millions of dollars. 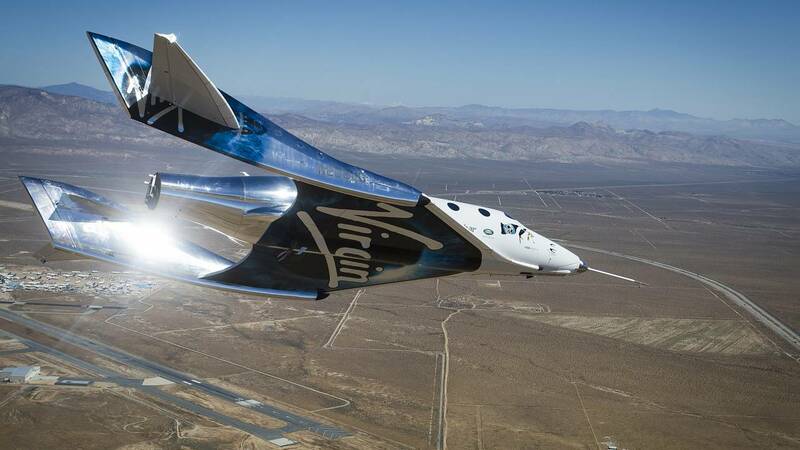 If you're looking simply to cross the 62-mile-high Karman line that marks the boundary between the upper atmosphere and outer space, Virgin Galactic says it will take you there for $250,000. The company says about 650 people already have tickets for the suborbital flights, to be made aboard a winged vehicle called SpaceShipTwo. A date for customer flights has yet to be announced. Jeff Bezos' rocket company, Blue Origin, plans something similar — sending space tourists on brief suborbital flights using its New Shepard rocket system. The company has yet to set ticket prices or say when paid flights might begin. 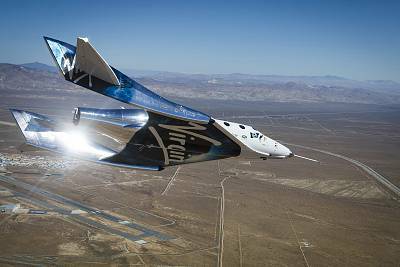 Virgin Galactic and Blue Origin passengers will join the fewer than a dozen private citizens who have funded their own trips into space. From 2001 to 2009, the Vienna, Virginia-based firm Space Adventures worked with Russia's space agency to send eight people to the ISS on flights lasting 10 or more days. The world's first private astronaut, a wealthy American engineer named Dennis Tito, reportedly paid $20 million to spend eight days in space in 2001. More recently, Guy Laliberté, the co-founder of Cirque du Soleil, shelled out $35 million for an ISS trip in 2009. Space Adventures still advertises Soyuz flights and plans to start booking trips to the ISS aboard Boeing's Starliner. In September 2018, SpaceX CEO Elon Musk announced thatJapanese billionaire Yusaku Maezawa would ride the company's yet-to-be-built Big Falcon Rocket on a trip around the moon. Neither Musk nor Maezawa, who said he would take along seven artists, would discuss the mission's cost. Small satellites may qualify for a free ride to space through NASA's Educational Launch of Nanosatellites program, which helps universities and research groups fly standardized satellites called CubeSats aboard rockets as secondary payloads. If your satellite can't hitch a free ride, you can book a NASA sounding rocket to the edge of space for as little as $1 million. For orbital flights of payloads weighing less than 500 pounds, Los Angeles-based Rocket Lab offers launches of its Electron rocket from New Zealand for about $5 million. From there, the price goes up steeply. Northrop Grumman's Pegasus rocket, which is air-launched from the belly of a jumbo jet, can place 1,000 pounds in orbit for about $40 million. Stratolaunch, a new venture bankrolled by Microsoft co-founder Paul Allen, plans to launch Pegasus rockets from its own colossal airplane before offering an expanded line of rockets capable of carrying up to 13,000 pounds. The company has yet to disclose prices. NASA is developing its Space Launch System, which will carry astronauts to the moon and Mars. The rocket's per-launch cost has not been disclosed, but the agency now spends at least $2 billion per year on the project. The maiden flight isn't expected until 2020. WANT MORE STORIES ABOUT SPACE TRAVEL?